MOSCOW, February 5. /TASS/. The Russian Army may give up 5.45mm rounds used in Kalashnikov AK-74, AK-12 assault rifles and other small arms, according to an article published in the thematic bulletin, "2018 Missile and Artillery Technical Provision for Russia’s Armed Forces." The article was written by a group of authors from the Defense Ministry’s 3rd Central Research Institute. "In a perspective, the Army may give up using 5.45mm rounds due to the bullets’ insufficient effect to pierce the manpower’s individual protective gear at medium and increased fire ranges," the article says. 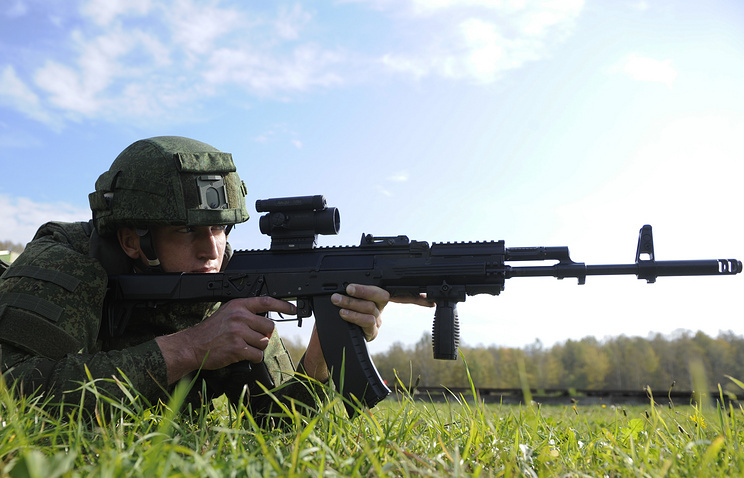 The Russian Army’s existing small arms system is based on the 5.45mm and 7.62mm calibers. The article suggests focusing "on modernizing the performance characteristics of 7.62mm cartridges and weapons." The 5.45m cartridge was developed in the late 1960s. The bullet’s initial velocity equaled 900 m/s and the round’s weight was 10.2 grams or 6 grams less than for the 7.62mm round used in the AKM assault rifle. As its advantages, the new cartridge demonstrated less recoil, the higher accuracy of fire and the bullet’s flatter trajectory, which increased the range of direct fire. The AK-74 assault rifle was developed for the new cartridge and accepted for service. The Russian Army currently buys new AK-12 assault rifles, which are also chambered for the 5.45mm cartridge.